The form of foundation depends on its properties. What is more, the consistency of foundation should match your individual preferences. The way you feel with foundation on your skin and the effect you count on, should in a significant way influence the choice of right cosmetic. The most popular, because the most simple in use. They have various properties and can be easily matched with dry and oily skin. On to of that, they have all levels of coverage (light, medium and very high). They should be applied on face with foundation brush, beauty blender or fingers. No matter the method of application, you have to always remember that foundation shouldn’t be rubbed in, but gently tapped in. Have form of delicate foam and leave skin with satin effect. Its application is smooth and easy. You should only remember not to apply too much of the mousse on the face. It is because then the foundation will be too visible. This type of cosmetic is great for oily and combination skin. They have quite heavy structure. Furthermore, they are characteristic thanks to the high coverage which causes their consistency to be thick. You have to apply them really carefully and not to overdo with its amount. This type of foundation with great coverage are perfect for conceal of all imperfections. It is recommended to use them only for some important events. There are women who reach for the stick foundation in the winter to additionally protect face against freeze and strong wind. However, remember that your skin will not feel very well when you serve it with heavy and clogging mask and no access to air. In contrary to other loose powders these have very simple composition. Mostly there are 4-5 ingredients, which are just powdered minerals. 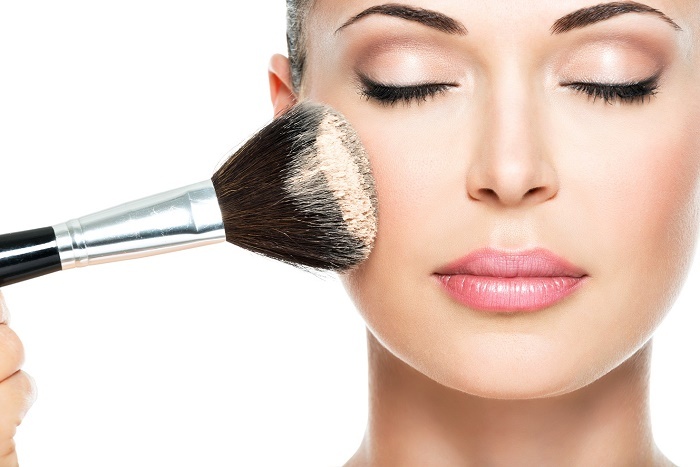 Such foundations does not consist of preservatives, artificial colourants or fragrances. Those are perfect for all skin types. However, women with very dry or very oily skin should be careful with it. This foundation has an incredible ability to provide gradual coverage. You have to apply it gently in a circular motion. The foundation needs to be massaged into skin.